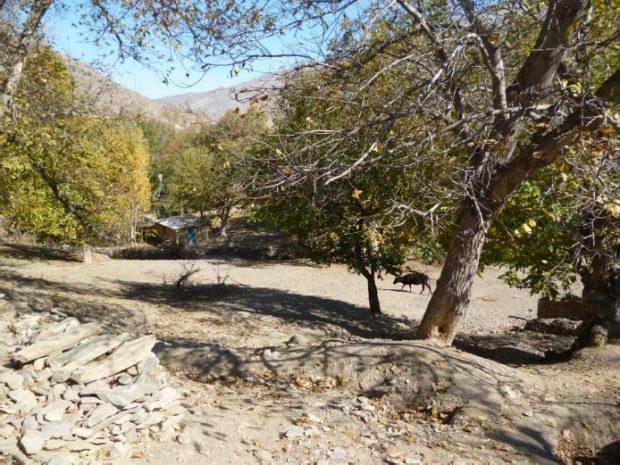 Following 12 months fundraising and working in two jobs almost every weekend, and a two-day expedition preparation trip to Cumbria in September, on Monday 15th October, I left home to join my group and tour leaders to travel to Uzbekistan. Where? 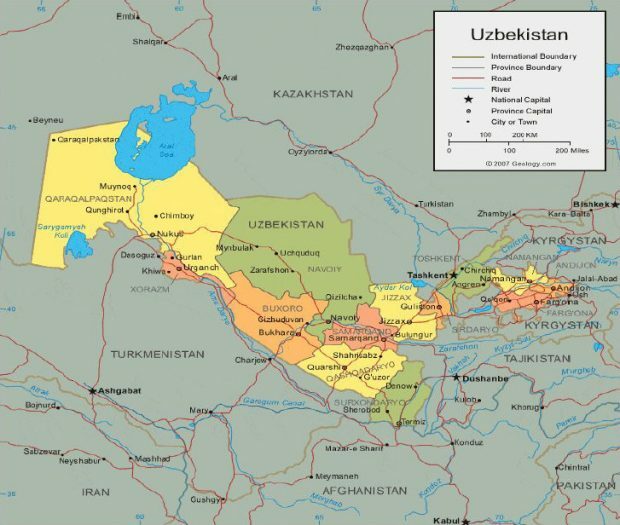 Uzbekistan, a landlocked country on the old Silk Road, in Central Asia, near China, south of Russia and bordering Kazakhstan, Turkmenistan, Tajikistan and Afghanistan. Our two-week trip was to allow us a chance to experience a totally different culture and way of living and to stretch ourselves by taking us out of our comfort zones. Part of the expedition was a community project in a mountain village, Uham, at the foot Nurata Mountains where we stayed for five nights in a homestay with a family helping out with every aspect of village life, collecting wood for the fire, cooking, helping at the local school, playing with the children, watching the cows being milked and eating together. 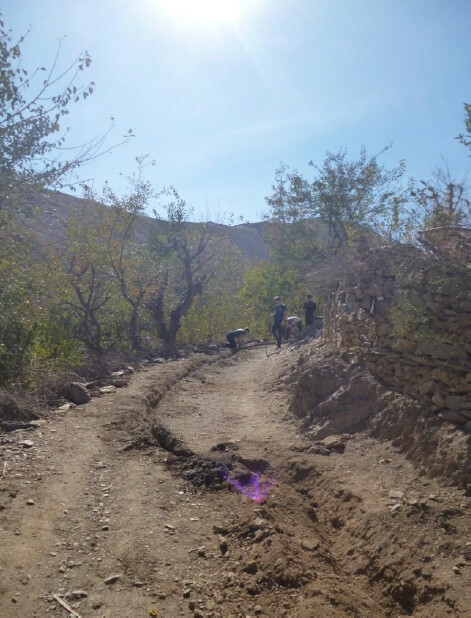 The main physical part of the project was to help dig a trench and lay a new pipeline for water for the village. 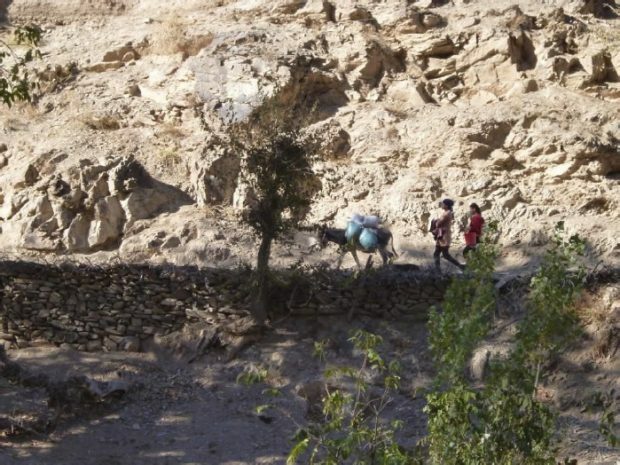 When we first arrived in the village, the villagers were still collecting their fresh water from further down the mountain, carrying it on buckets sometimes on their heads or on donkeys. 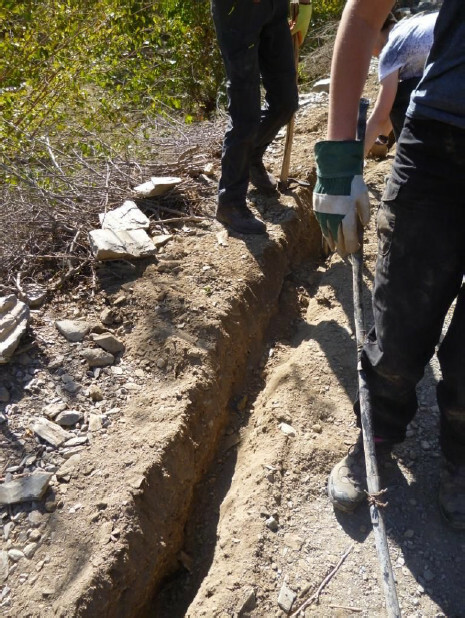 The trench and pipe we laid was a total of 1.5 km and the trench itself was 40cm deep. I won’t deny the work was much (much) harder than I expected and the conditions were colder and our tools more primitive than I had perhaps had hoped! 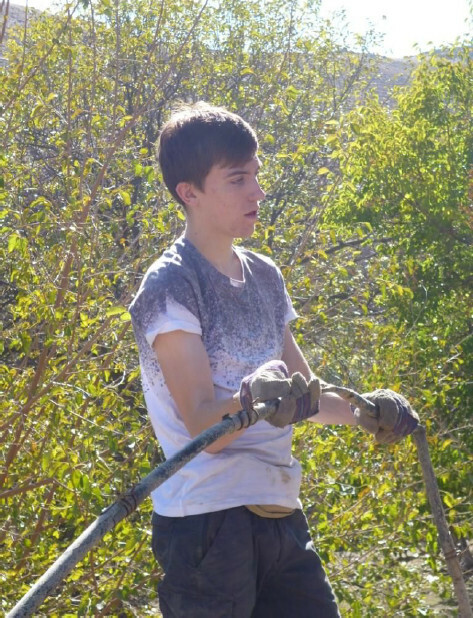 We had to use simple pick-axes and the ground was hard and really dry – it was a bit like digging up concrete. 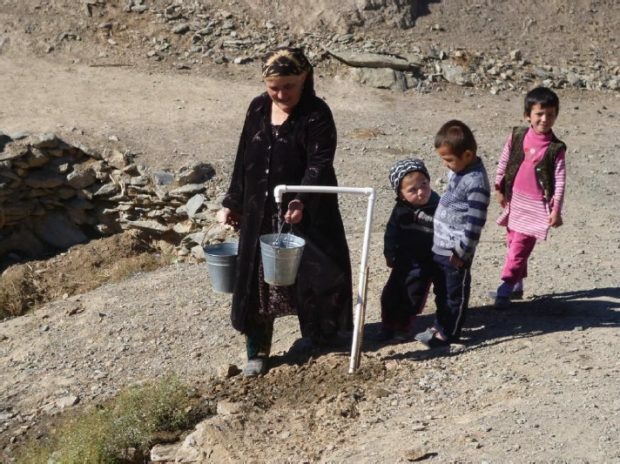 But we did it and by the time we were leaving, I saw women collecting water from the pipe in the centre of the village. 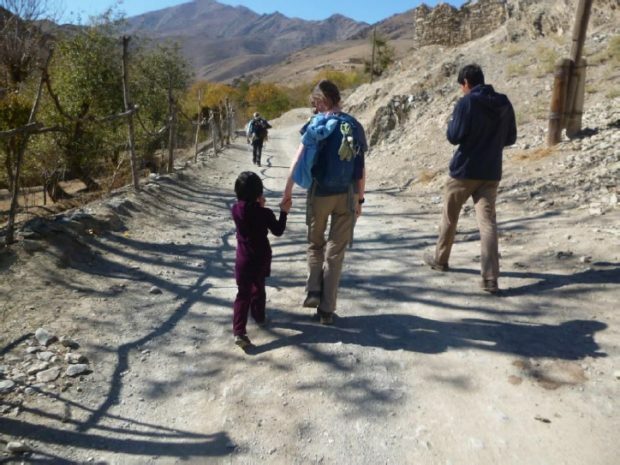 In fact almost as soon as we had finished there was one woman who came with her children. It made me feel really proud of what we’d achieved and made me appreciate clean running water back at home and how we just take everything for granted. 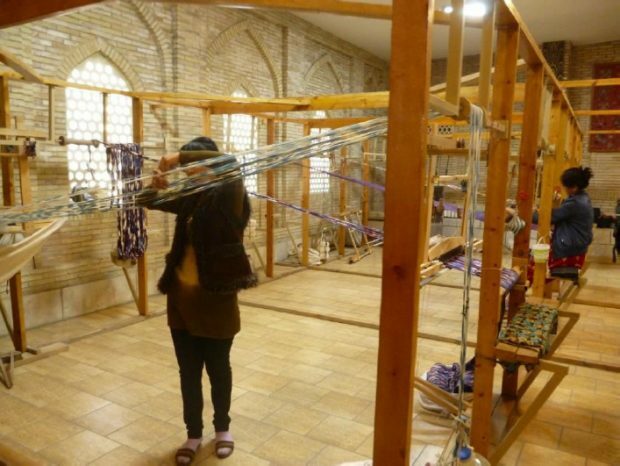 The difference of the simple task we worked on really seemed to have the potential to make a difference to Uham. I loved our time here, I think the project was the favourite part of the whole trip for me and I was sorry to leave the family, particularly Malika, who was one of the daughters who spent a lot of time wanting to hold my hand and asked her father if I could stay with them. After the project, we travelled by bus to Bukhara one of the old silk road cities. This was my favourite city – I loved the amazing blue mosaics and domes and we were able to go to an Ikat silk making factory here (I am doing textiles for A Level and wanted to see the designs being made here as they are considered to be the best silks in the world). The next day we travelled onto Samarkand, we visited Registan square which was beautiful and we also witnessed about 10 different weddings in the space of an hour all in the same place – the Uzbeks go big with their weddings! 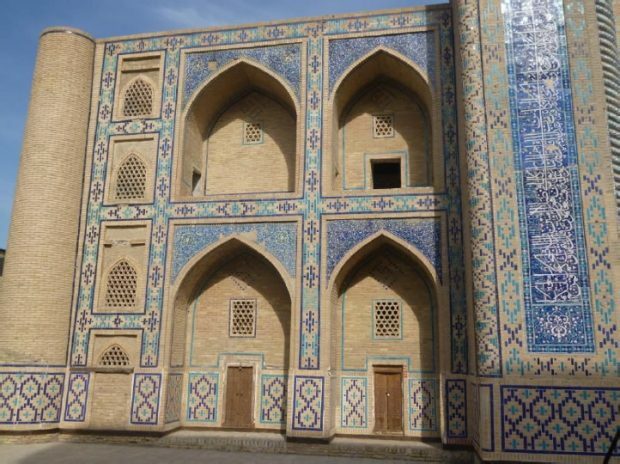 before travelling back to Tashkent, We stayed in Samarkand for two nights before returning to Tashkent which is the Capital before returning home by Istanbul airport. 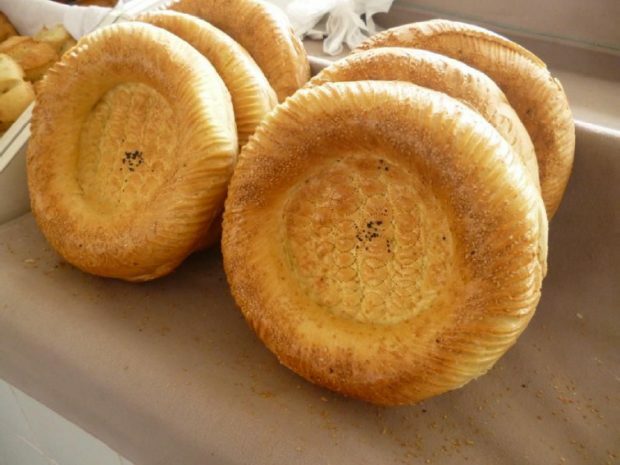 The bread in Uzbekistan is very famous as it is a sacred symbol of the sun. It was so thick and heavy, unlike any bread you would find in England, and it is meant to last years! 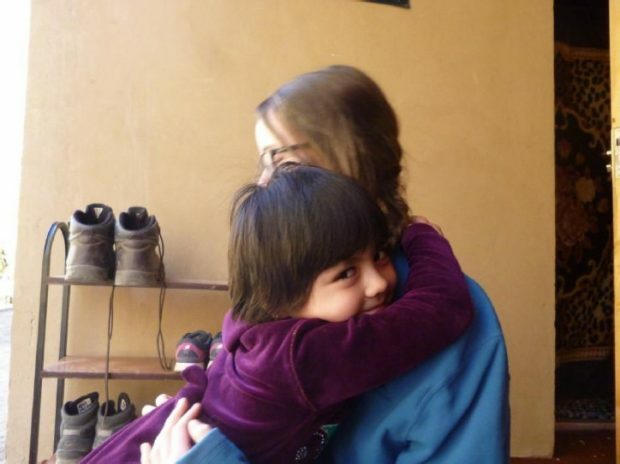 I learned a huge amount from this trip, including independence, confidence, belief in myself, teamwork, communication skills, working outside my comfort zone and meeting new people. I’d like to thank you for supporting me with going of this trip, without your help then none of this would have been possible! I will always remember it. Thank you!